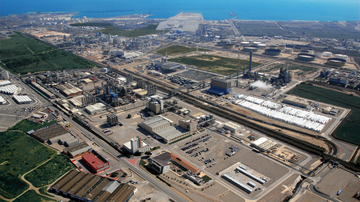 Since 1988, SEDA Barcelona owned together with FISIPE, and throughout a joint venture, a cogeneration plant (approximately 22 MW with gas and steam turbines and 100 t/h of steam). 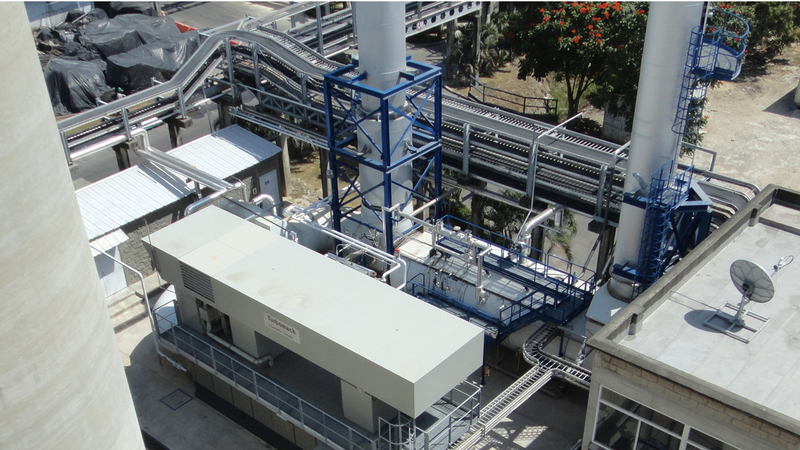 This cogeneration plant was one of the first of these type of plants to be installed in Catalonia and Spain. 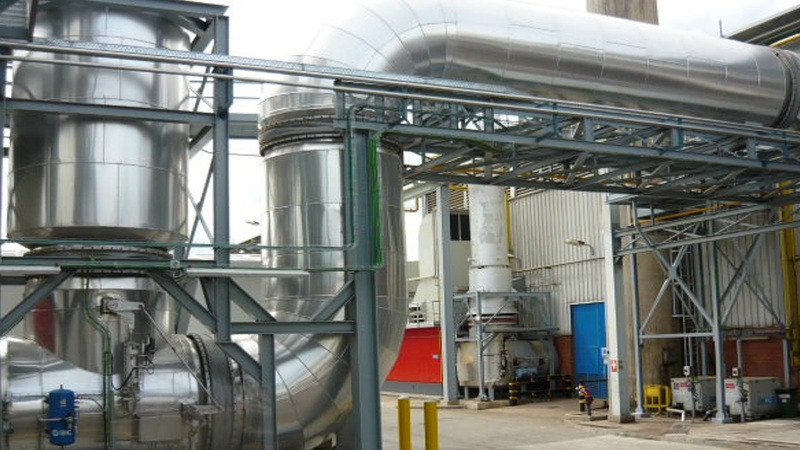 After the technical bankruptcy of FISIPE and the decrease in production of synthetic fibers in SEDA Barcelona, the consumption of steam was considerably reduced, with the result that the maintenance of the cogeneration plant was wasteful. Due to this fact and because of the age of the plant, the conservation of the plant was not recommended. However, la SEDA Barcelona is still an important consumer of thermal energy. This consumption made possible the implantation of a new cogeneration plant, or in this case POLIGENERATION because of the number of energies that are provided to the factory. 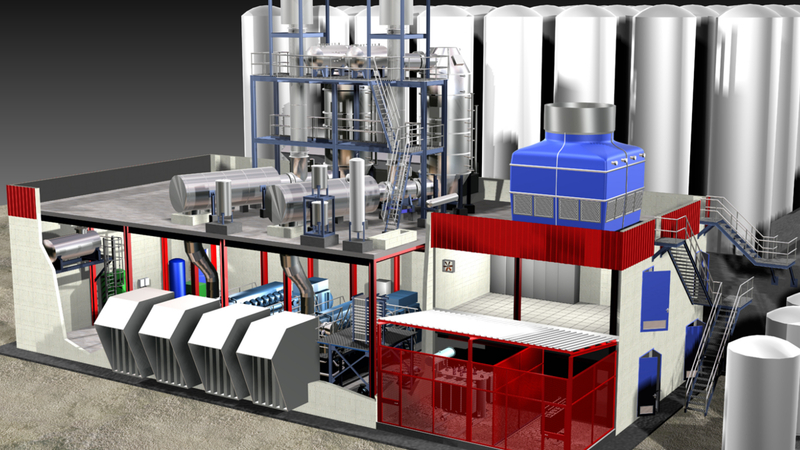 The new cogeneration plant has a gas turbine of 7.3 MW (ISO) or 7.6 MW (on-site), a heat recovery system for the generation of two types of thermal oil and vapor at two pressure levels, and a simple effect absorption system that produces cold from the recovering of the exhaust gases in an economizer. Two thermal oil heat exchangers installed in series after the exhaust by-pass of the gas turbine. 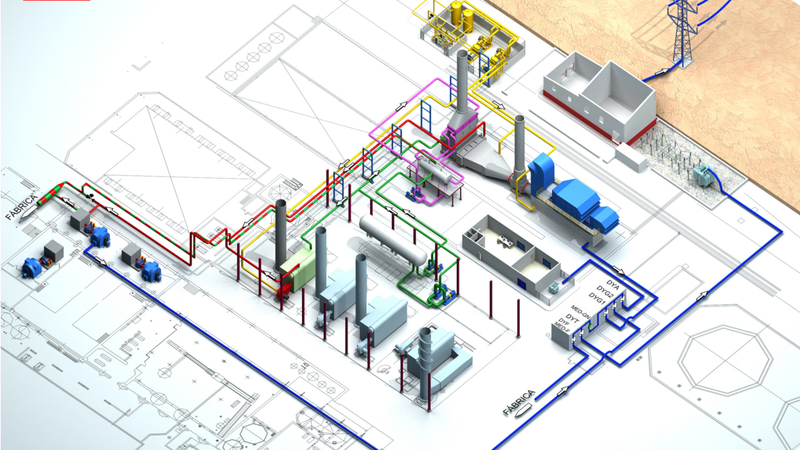 Each exchanger produces one of the thermal oil demand of the factory. The first one has a maximum heat power of 4,300 kW and the second one 3,880 kW. A by-pass after the thermal oil heat exchangers. Two vaporizers, also in series after the thermal oil exchangers. Each one produces one of the steam demands of the factory. The first one produces medium pressure steam (3 t/h at 26 bar(g)), and the second one produces low pressure steam (3 t/h at 4.5 bar(g)). A heat recovery unit for superheated water generation, being this one the last element of the heat recovery system. This element is used to lower the temperature of the exhaust gases thrown to the atmosphere, heating water used in the simple effect absorption machine. This machine has 1,700 kW of heat power. Two shell boilers were also installed (with recovery and auxiliary natural gas burner). They can produce 9 t/h of saturated steam at 26 bar(g) and 9 t/h of saturated steam at 4.5 bar(g). Hot water flows through these boilers and gets vaporized in the vaporizers, producing steam. As both boilers have a burner incorporated, they can produce the full thermal demand of the factory, in case of any cogeneration failure.